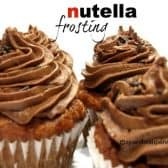 Nutella Frosting Recipe… Easy and delicious! Note: This frosting was put on banana muffins… it is my Grandpa’s recipe from when I was little! 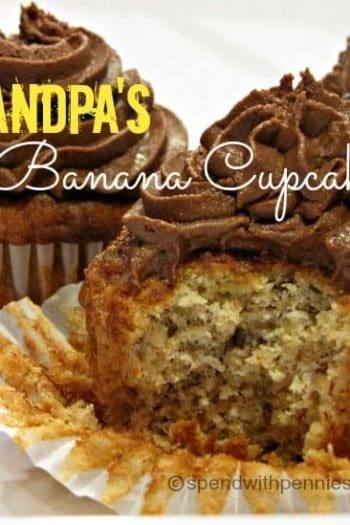 You can find Grandpa Z’s Banana Cupcakes here! 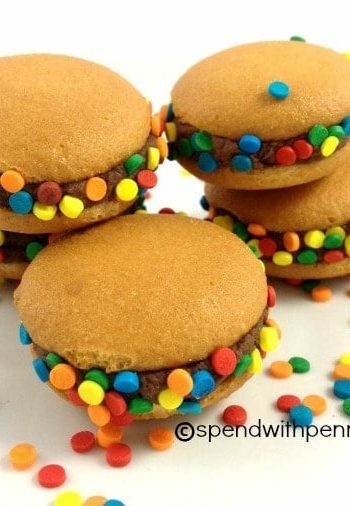 This recipe is great on banana, chocolate or vanilla cupcakes! I absolutely LOVE Nutella… I could quite possibly live on it. My favorite has always been on warm toast so it gets all melty… but now that I’ve made it in frosting form, I have a new favorite! What is not to love! 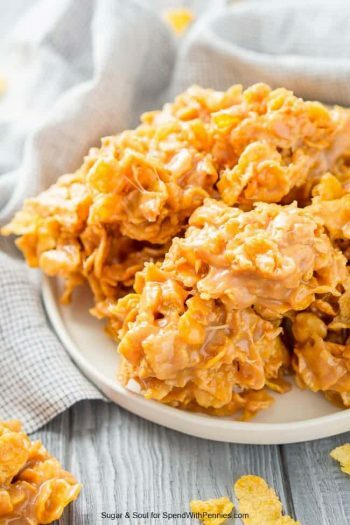 I was surprised at how much the hazelnut flavor comes out in this recipe! Although I used the “store Nutella” in this recipe, don’t forget to check out my homemade Nutella recipe! 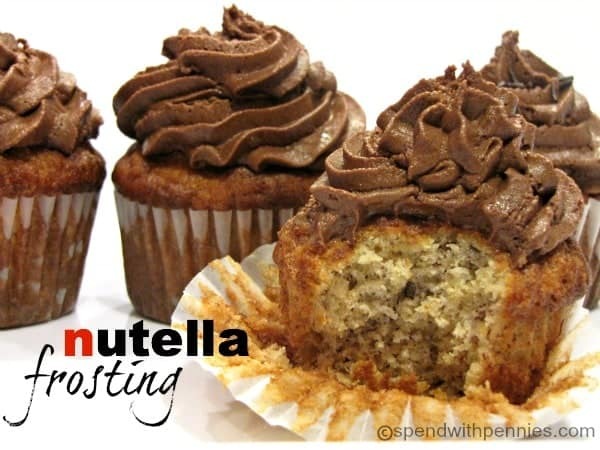 Creamy and fluffy Nutella frosting will become your new favorite way to dress up cupcakes. Beat butter & nutella until combined. Place chocolate chips in a small bowl and microwave on 40% power for 30 seconds until ALMOST melted. 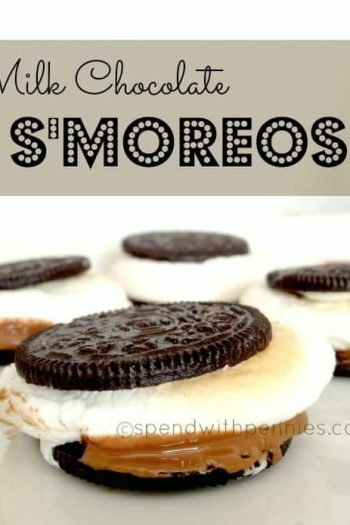 You just want them melted but not hot… once almost melted, stir chocolate chips until the remainder melts and allow to cool slightly. With the mixer running, pour the melted chocolate into the Nutella mixture. Beat on high for 2 minutes or until fluffy.